Diatomaceous Earth is an all natural product that is good for people and pets, the farm and the gardens, and anything in between. 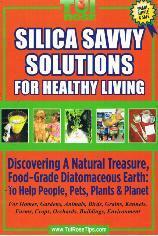 Diatomaceous Earth (DE) is a natural mineral, it is a safe alternative FOOD GRADE insecticide. Your able to kill ants with it and then eat it for your good health. Since doing my own research on DE I have found that it is good for a whole bunch of other things as well. Just to name a few…. 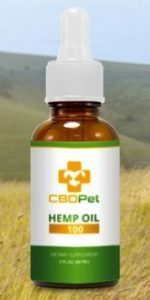 I am certain that the pesticide companies and the makers of flea products for your pets as well as the people who make colon cleansers would not be happy if the benefits of this all natural product leaked out. Have a good look around. The menu buttons at the top will help you navigate the site. Does diatomeaceous earth have any sodium content and if what percent does it have? Very interesting.First time hearing about this.I bookmarket your site and will read more. Hello, I am so excited to get this…I have ordered it and the product will be arriving tomorrow. I have done a 30 parasite cleanse and have chased something up to my ear causing a lot of pain. I have sent a specimen off to the lab to have it identified but as of right now I do not know what this thing is. It causes my ear to hurt, swell and at night leak out stuff. Around 2-3 am i can feel it moving around too. The only thing that gets it out is hydrogen peroxide. I have used collidal silver, alcohol, black walnut tincture, essential oils, ear candles…I even went to a doctor who says my “eardrum” is fine. Well the problem is not my eardrum it is my ear canal swelling to the point of being shut and the major amount of pain…. So I ordered DE and I am hoping this will be the answer to my prayers. How do you eat it? I was thinking about putting in my morning smoothie. Does it have a taste to it that I will have to hide? Should I put it in Applesauce? How do you get it down is my basic question? LOL..can’t wait..so very excited to have this thing out of my ear. Your morning smoothie sounds like a great idea, apple sauce would be another way. There is no taste to it. It has the consistence of flour. You can mix it is a glass of orange juice or anything like that. My Aunt sprinkles it on her cereal… though that to me does not sound good. I mix it with yogurt or whip it into my protein shake, which sounds like your smoothie. It all depends on how well your able to mix it, some people do not like the texture of it. You will find the best way for you. Best of luck and..please keep us posted. How much is the maxium per day to eat? I got some, just had 1/2 a small spoon in some cottage cheese and fruit. Looked nasty but tasted ok.
Michelle, You did it correctly by starting out with just a small amount. Most people work their way up to 1 Tablespoon a day. That is what I take. Everyone is different.. but I am finding that to be the usual amount. I crave to eat dirt does this taste anything like real dirt? I have never eaten REAL dirt so I don’t know how to answer that question.. but my guess would be NO! Diatomaceous Earth has no taste. You may want to try it to see if the trace minerals that it contains will satisfy your craving that you have for REAL dirt. Good Luck and please let us know if you eat the Good Dirt! I have tried de to get rid of bed bugs. It worked great. It got rid of bed bugs, spides, Gnats, we shook it around everything. Left it 4 2 days, vaccummed and shook a bit more around bed posts. Base boards. Crawl space. Etc. We were bug free 4 nearly a year. It works great. I always tell everybody. Im not sure thex believe me. Oh well, their loss. Its inexspensive too. Its good in the garden too. Im going to use on my dog tomorrow. He just got neutered, i just noticed fleas. Sincd he cant have bath yet, its the best thing to do anyway. 4 his safety. Try it’ its great stuff! I craved dirt for years. I replaced it with this product and I love it and eat it daily right from the spoon. There is no grit, but it did take my dirt craving away. I have heard of people eating dirt… real dirt. I am glad that this has replaced that craving for you. I am certain it is better for you. Hi Linda….. I have heard many wonderful things from people who use DE. Please keep in mind that everyone is different. I can feel safe in saying that no 2 people will experience the exact same results if they take it. To address your question all I can say is … it will not hurt to try it. In my opinion.. it is the very best colon cleanser available. If you have a clean colon and your body is able to absorb what you take in.. it just makes sense to me that your entire body will feel better…. as well as work better. H. Pylori and will shrink the uterus’ fibroids? Hi Ana…. I have found a wonderful article that you may find helpful in answering your question… you can find it here. www.ibreatheimhungry.com/2013/02/foodless-friday-health-benefits-of-diatomaceous-earth.html Diatomaceous earth will not hurt you and after reading this information it might be just what you need. Please keep us posted after you have tried it. Does anyone know what DE really is? I think of it as a mineral….This is what it really is>>>> Diatomaceous earth is made from the fossilized remains of tiny, aquatic organisms called diatoms. Their skeletons are made of a natural substance called silica. 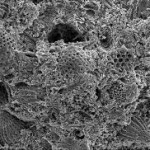 Over a long period of time, diatoms accumulated in the sediment of rivers, streams, lakes, and oceans. First of all I’m in zip code 77459 in Sienna Plantation in Missouri City! Ok on your email. Unfortunately we don’t carry the Gel any longer or the Silver Sol 10 PPM. We’ve never carried the Now brand. What we do have is the most powerful Silver Sol on the market the ASAP Plus 22 PPM Silver Sol. We are 1 of only 5 distributors allowed to carry it. If you buy it from me and sell it you would have a niche as that is what people want when they are really fighting something. We service 5 Medical Doctors in Phoenix and it’s all they buy the 22 PPM. You can still get the Gel and the Liquid online. The manufacturer’s label is ASAP. Whatever label you get just make sure it has the patent number on it of 7,135,195. This way you know you are getting Silver Sol and NOT colloidal Silver. One benefit of buying the 22 from me is I still have all the research on the Silver Sol that has been banned by the FDA. I have a 500 page compendium of studies, the congressional testimony, and more! You would have access to my entire research folder with a 10 bottle or more order from me. I don’t have any minimum orders for re-sale. The MSRP is $39.95 but I start my pricing at 26.95 for a single bottle and it goes lower from there with a 3 pack, 10 pack or 20 pack purchase. Plus your customers don’t have to pay shipping. I would also list your company on the home page of my website with the Doctors and it would come up in rotation. Sorry I can’t help you with any of the other products but you can find them on the web. Just make sure they have the patent number listed. Thanks For your help Joe Glenn! My cats have worms and I feel like I have treated well. But 1 of my cats just can’t seem to rid her of those darn worms. How often can I treat her with this diatomaceous? I would keep them on it all the time….. Though if the worms are really bad… in fairness to the kitty…. I would get a wormer from the vet.. and then keep on the DE as a preventative. That would be what I would do.